Our schedule called for us to be sketching cherry blossoms this week at the Brooklyn Botanic Gardens on Friday. Unfortunately they are not yet in bloom. We will get to sketch the cherry blossoms as soon as they are open but at Roosevelt Island not the BBG. Watch for the announcement. 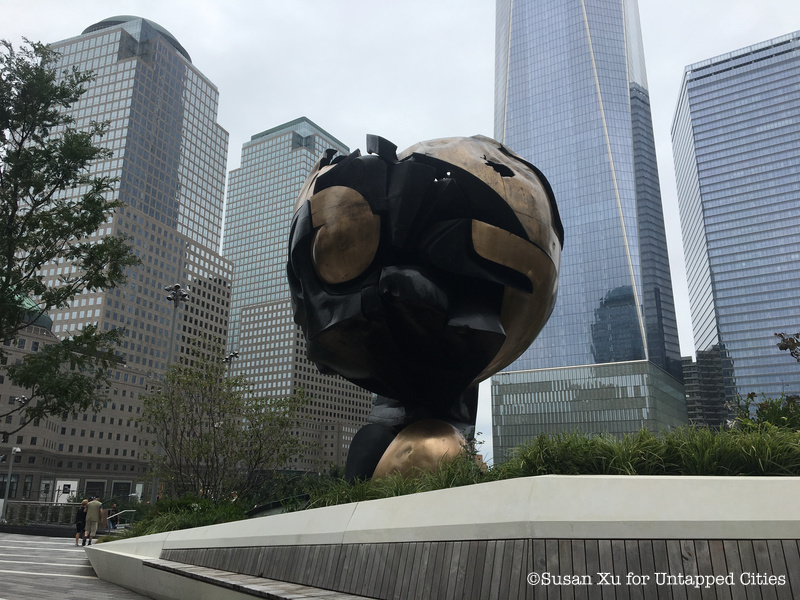 Join us this we as we explore two of the lesser travels parts of the World Trade Center site: Liberty Park and the Graffiti Walls. We will start our sketching in the morning at Liberty Park, a one acre raised park on the south east corner of the complex in front the St. Nicholas Greek Orthodox Church designed by Santiago Calatrava. 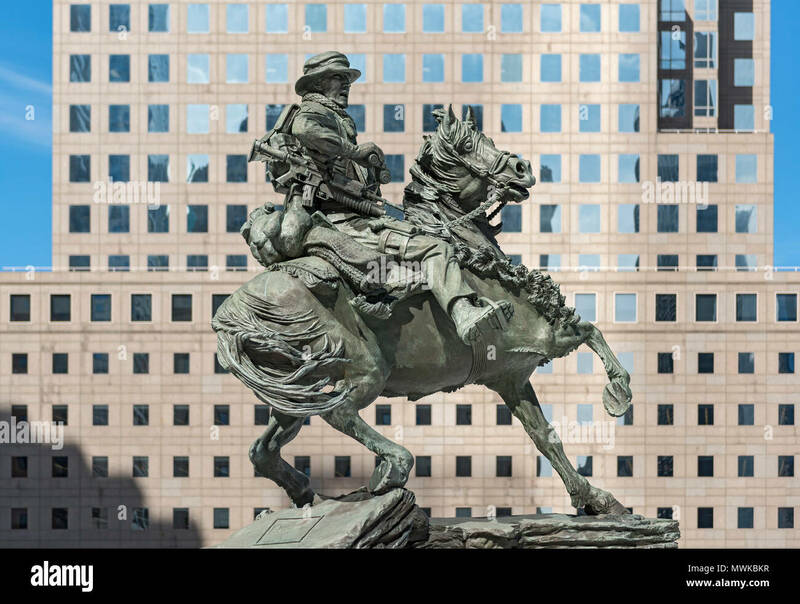 Spend the morning sketching the beautiful building and the two major sculptures in the park: De Oppresso Liber, created to honor the soldiers who marched into battle in Afghanistan after 9/11 and The Sphere, which originally stood in the middle of the WTC before it fell. 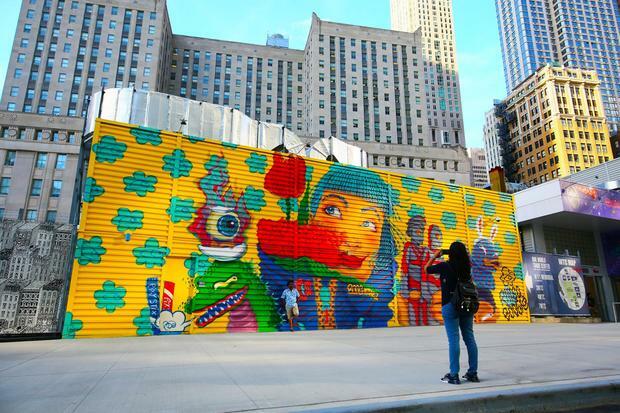 The afternoon will be spent exploring the colorful graffiti that has been painted on many of the temporary structures on the northeast side of the complex. TRANSPORTATION: Any subway to the World Trade Center. Please RSVP directly to Raylie Dunkel at raylie@verizon.net. Looking for us? Call/text Raylie at 201-978-6387. Bring a stool and some lunch, or purchase lunch in the area. We will eat outdoors in the park.